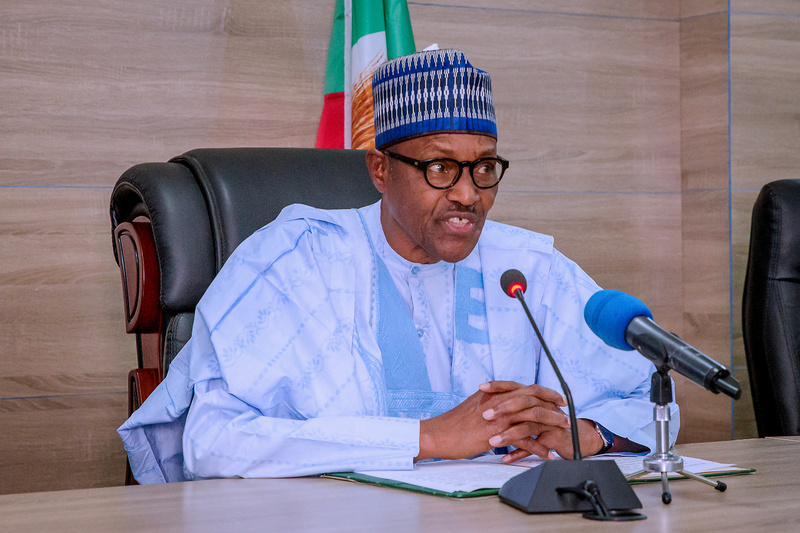 Nigeria's President Muhammadu Buhari addresses officials and supporters at the campaign headquarters of All Progressives Congress (APC) in Abuja, Nigeria February 27, 2019. Nigerian President Muhammadu Buhari won a second term at the helm of Africa’s biggest economy and oil producer on Feb. 26, following an election marred by voting delays, logistical glitches and violence. Buhari, leader of the All Progressives Congress (APC) secured 56 percent of votes cast against 41 percent for the main opposition challenger, Atiku Abubakar of the People’s Democratic Party (PDP). After his victory, the 76-year-old Buhari pledged to redouble his efforts to fight corruption, revive a flagging economy and tackle security problems including the 10-year Boko Haram insurgency.